Taco John's Breakfast Hours: When Do They Stop Serving Breakfast? When Do They Stop Serving Breakfast? Taco John’s breakfast hours vary by location — but most stop serving breakfast between 10 and 11 a.m. You’ll need to contact your nearest Taco John’s for specifics. Taco John’s is a fast-food chain that serves Mexican cuisine, including tacos and burritos. Its breakfast menu features a variety of breakfast burritos, a potato scrambler bowl, and Mexican donut bites. 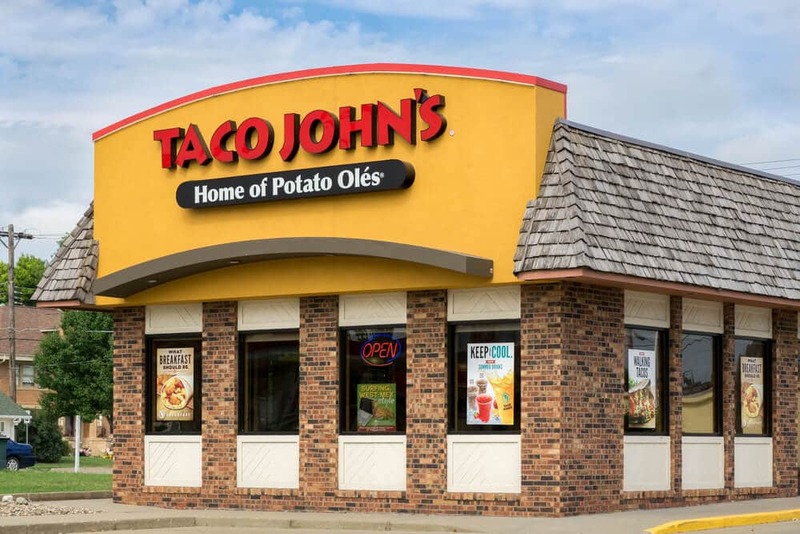 Taco John’s breakfast hours vary by location — but most stop serving breakfast between 10 and 11 a.m. We contacted several Taco John’s restaurant locations in multiple states. Each reported it stops serving breakfast at either 10, 10:30, or 11 a.m. Some locations open as early at 6 a.m.
Taco John’s has hundreds of locations in 23 states. For specific breakfast hours at a location near you, contact the Taco John’s directly. Now you know the Taco John’s breakfast times. Typically, Taco John’s stops serving breakfast between 10 and 11 a.m. Its breakfast menu includes several breakfast burrito options. For another option for breakfast that may work better for you, see our article: What Are Arby’s Breakfast Hours?